Nafissa Thompson-Spires will take part in the Author Series on July 29. Sitting in an airport not long ago, writer Nafissa Thompson-Spires watched people. She has made a habit of this, writing down her observations in her “spy notes” much like the fictional heroine Harriet the Spy. In them she collects what most people likely overlook, details that will later show up in her writing: a new turn of phrase, a missing tooth, the stain of sweat on a daisy print dress, the descent of a pair of glasses down a small nose. Those observations and insights inform her debut short story collection that explores the nuances of black identity in a hyper-connected world with the same attention she brings to everyday life. 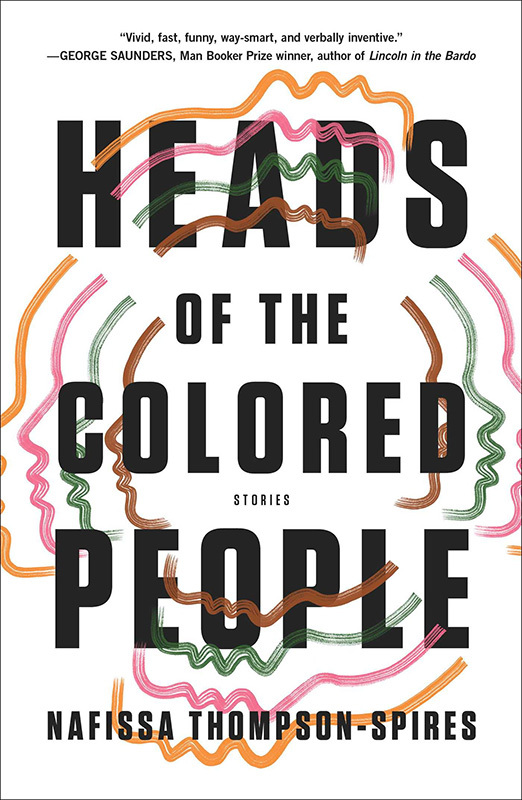 She will talk about her new book, Heads of the Colored People, at the Chilmark Community Center on July 29 as part of the Martha’s Vineyard Author Series. The characters in Heads of the Colored People are so fully formed and faceted it is as if they walked into the stories of their own accord. In the airport that day, a furious customer service representative became Ms. Thompson-Spires’s inspiration for Marjorie, the heroine of the story, Not Today, Marjorie. In the story we view moments of Marjorie’s life while she waits in line at the DMV, growing angrier and angrier: her isolation at church, halting conversations with her new therapist, her years-long affair with her sister’s husband, the source of the burn marks on her arms. Marjorie’s story, like the others in the collection, forces readers to contend with their own sense of surprise at her characters’ circumstances, choices, and at the consequences they face. An English professor at the University of Illinois, Ms. Thompson-Spires teaches her students to have a sense of responsibility in their writing. She has always read avidly and she said now she aims to create characters she did not have the opportunity to read about until adulthood. In addition to Heads of the Colored People, she has written unpublished novels for young adults. Like Harriet the Spy, the characters that populated the Beverly Cleary and Judy Bloom novels she devoured as a child were abundantly white. 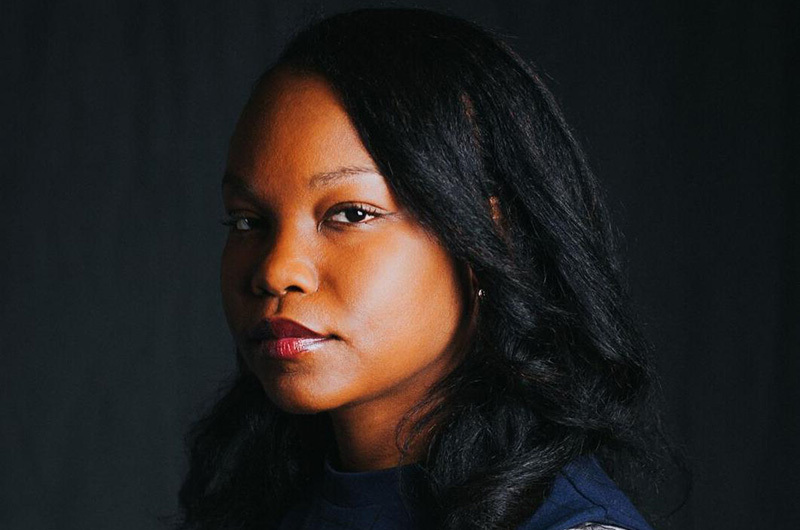 It was not until college, reading the work of authors such as Ralph Ellison and Percival Everett, that she found characters she could relate to. Her stories give voice to the experience of being one of the only black people in a yoga class, a private school, a university department. They also allow black characters to be flawed. She said she did that despite feeling the burden of representation. A professor begins a passive aggressive power struggle with his office-mate over whether to leave the lights on or off. Two mothers with PhDs exchange letters full of thinly veiled jabs at each other’s gradeschool daughters. A reality television director meets a white fruitarian-lifestyle blogger and films her black partner and young daughter’s ultimate escape from domestic tyranny. “They’re definitely weird, which I think is kind of my aesthetic,” Ms. Thompson-Spires said. The stories take on the physical dangers of existing in a black body, too. The final piece in the collection, Wash Clean The Bones, focuses on Alma, a woman who supports herself and her son by singing at funerals, often of young victims of police shootings and gun violence. Most of all, the collection takes on the act of storytelling itself. Characters reinvent themselves, grapple with portrayal, evade stereotypes, defy observation. In the titular story at the start of the collection, a self-conscious narrator directly addresses the reader, listing a number of assumptions they may have made about the story’s main character, Riley, a cosplay enthusiast. Nafissa Thompson-Spires will discuss her debut story collection as part of the Martha’s Vineyard Author Series on Sunday, July 29 beginning at 7:30 p.m. at the Chilmark Community Center. Visit mvbookfestival.com.